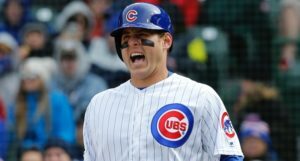 A few weeks ago, I drummed up a little ditty on Anthony Rizzo’s scorching hot second-half numbers from last season, apropos of, well, nothing really. I just wanted a chance to step away from the rumors and news to do what I like to best: write about the actual playing of sports. Sure, the offseason is always lighter on the analysis front, but we usually have some newly-signed free agents or trade acquisitions to dig into and project, but this winter, well I think you know exactly how that’s gone for the Cubs. 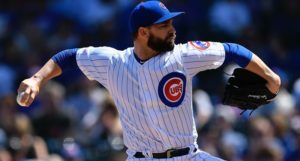 Fortunately, the Cubs finally came to our aid yesterday, not only by signing a much-needed reliever, but by signing a much-needed reliever … with a really interesting story to tell. 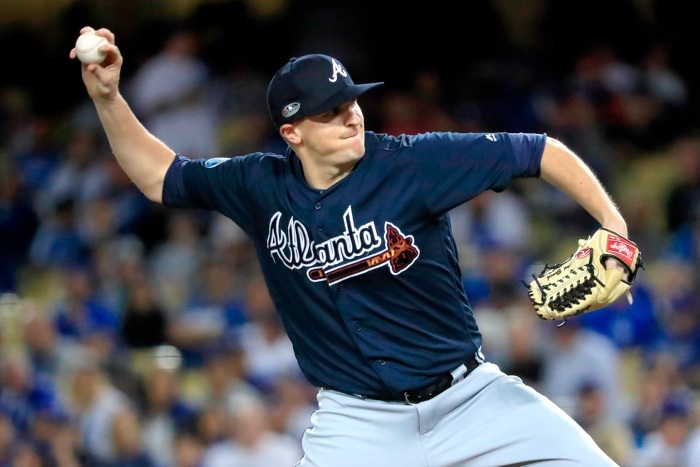 Follow me as I spin a tale of the two very different versions of Brad Brach we saw in 2018, and what it means for the Cubs in 2019. If you don’t know much about Brach’s history, here’s the short version: pure relief prospect with the Padres when Jed Hoyer and Jason McLeod were there, emerged as an excellent and consistent reliever for the Orioles from 2014-17 (2.74 ERA, 3.44 FIP), slumped out of the gate in 2018 and was traded to the Braves. We may be dealing with a much smaller sample, but in the 23.2 innings he tossed in the latter-half of the 2018 season, Brach’s ERA and FIP plummeted (in a good way), and he saw modest improvements in his strikeout and walk rates, as well. As you can pretty plainly see, Brach started throwing his fastball less with the Braves and his slider more. Moreover, he ticked his fastball velocity up about a full MPH while enjoying a little extra on his slider, too. The improvement in his fastball took it from a negative value pitch (-1.0) to a positive (0.2). And clearly this slightly less fastball-heavy mix worked better for him (Brach also throws a changeup, but it was used in almost equal doses, so I left it out of the conversation for now). With a little extra zip and a lot more sliders, Brach was able to increase his o-swing rate from 33.9% to 36.4% – which I think helps offset the added contact and hard contact we discussed earlier. It’s not a perfect tradeoff, to be sure, but it’s certainly an interesting development. It’s far from a guarantee, but if Brach can keep his velocity up and stick with this new pitch mix, there’s a chance the guy the Cubs see next season is a heckuva lot closer to the one we saw in the second-half of the 2018 than the first. 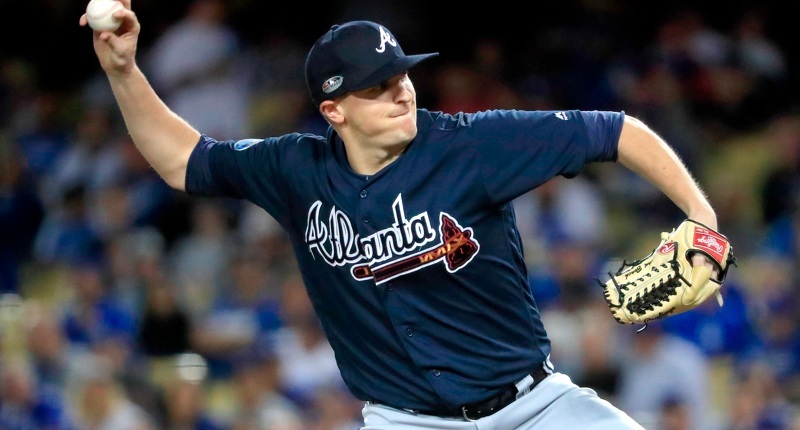 With ALL of that said, I want to add two additional, slightly more pessimistic points: Brach is 32 going on 33 years old, which is not necessarily as alarming for a reliever as it might be for a high-velocity starting pitcher, but he is nevertheless entering that phase of his career where he may have to start adjusting his game to meet his physical capabilities. The optimist will tell you that’s exactly what 2018 was – an adjustment period that would up paying off – but the pessimist will say it still lies ahead. And given how important an extra MPH on his fastball seems to be, that could make you nervous about any small, potential dip. Relatedly, Brach hasn’t used his slider as much as he did in the second half of last season since his rookie season (23.7%) and it dropped off in usage immediately after that, bottoming out at 12.1% in 2015. That may not have been natural. This is entirely speculative, but it’s possible something about that pitch doesn’t work for him, his arm, his pitch-mix, or keeping hitters off balance in heavy doses – he used it far less in his best Orioles years than he did with the Braves last year – and only worked for him last year because of the small sample and switching between leagues and divisions. Just thinking out loud. 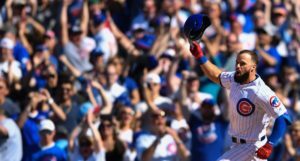 Ultimately, though, I think the Cubs did well with this pick-up. Brach got really good results in 2013 and 2014, really good results *and* peripherals from 2015-2017, and had a really strong second half of 2018. He’s also tossed more than 60.0 innings in 6 of his 7 seasons, including the last five straight. Thus, the majority and most recent examples of his work is strong, he’s durable, and he’s on a very affordable deal. It’s not a guy who makes you jump up and down, but I like this move for the Cubs pen.